It’s end-of-the-school-year time. Every year at this time I am going through tons of papers trying to decide what is worthy enough to save and what goes into the trash. 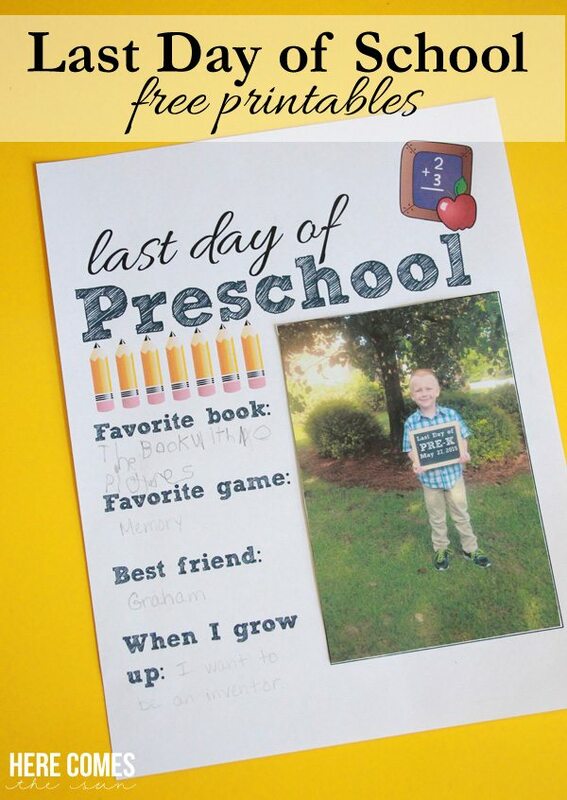 Before I had kids, I had all these grand scrapbooking plans and I was going to scrapbook each school year. I haven’t even finished their baby books yet and my kids are 5 and 8. The scrapbooking just isn’t gonna happen so when my daughter was in kindergarten, I decided to make school memory boxes. 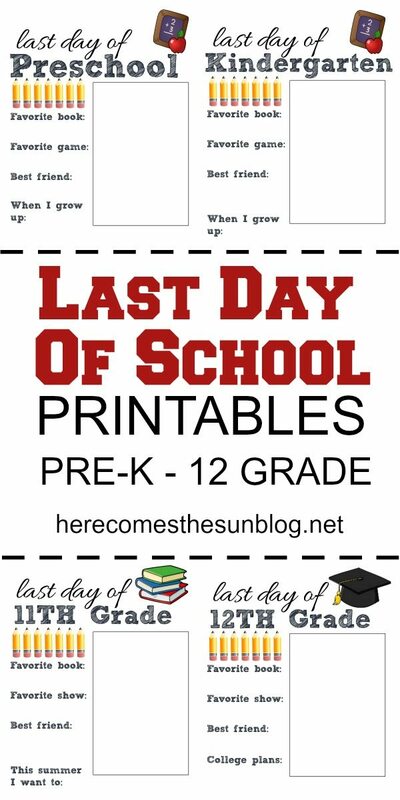 This year I added Last Day of School Printables to the boxes. I always take pictures of my kids on the first and last day of school so I left a space on each sheet for you to add that special picture. The space fits a 4×6 picture. 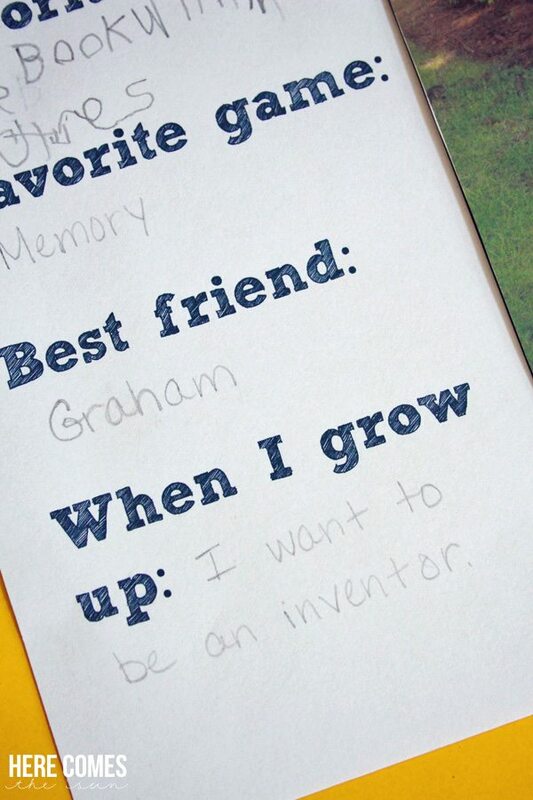 There are a few spaces for your kids to add some memories. I’ve made it super easy for you to print out the entire set! Print them all out and save them till you need them. 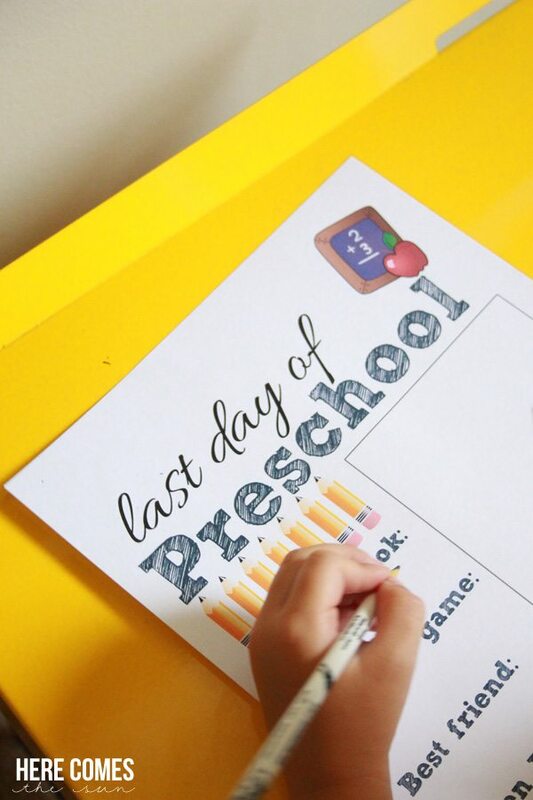 Download the entire Last Day of School Printables set!